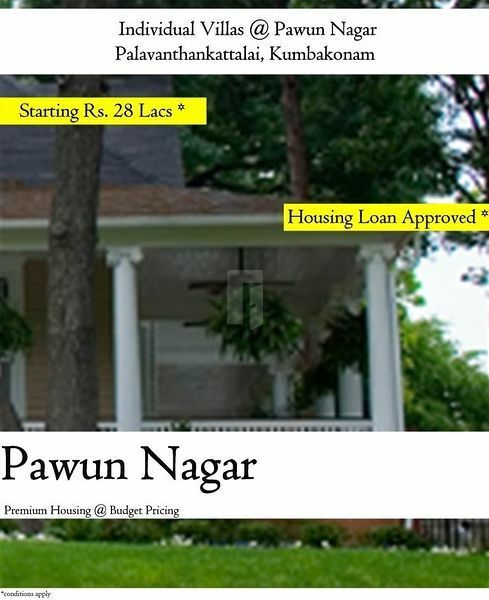 How Far is SG Pawun Nagar? SG ASSOCIATES Builders and Developers are one of the Best, Reputed and Quality Builders offering Landmark Construction Projects at Budget Prices in Kumbakonam, Thanjavur District, Tamil Nadu. SG ASSOCIATES Builders & Developers is a Vertical of SG Associates. We are specialized as Architects, Residential and Commercial Builders, Real Estate Mediators, Property Agents, Property Developers, Building Contractors, Civil Consultants, Civil Engineers, Interior Designers, Interior Decorators, Property Appraisers and Structural Engineers in Kumbakonam, Thanjavur. We are recognized as one of the Top 5 leading builders in Kumbakonam Thanjavur, professionally managed by highly qualified and well experienced Professionals and Civil engineers ensuring continuous focus and dedication in each and every project we undertake in Kumbakonam Thanjavur. Our key focus areas includes Project Location, Quality of material used for Construction, Structured and proper planning in every stage of execution and most important the On-time delivery of the projects to our valued customers. Each and every project is closely supervised and hand held by our qualified and experienced supervisors from the start till end of the project. .
Our way of approach, transparency, execution of the projects and the pre and post sales services are well appreciated by our valued customers. Our Luxury villas and '' Mini apartments '' are well received and acknowledged by our esteemed customers. ( Mini apartment with 2 or more houses in a single plot for a single investor.) Our "Mini apartments" projects can be considered as one of the Best investment option for High Net worth individuals (HNWI) who would like to earn high returns on their property investment by way of rental income.